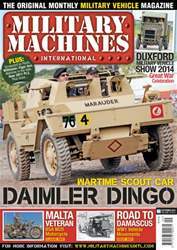 Military Machines International magazine features everything from Jeeps, Dodges and Bedfords to Tanks, Armoured Cars and Artillery. 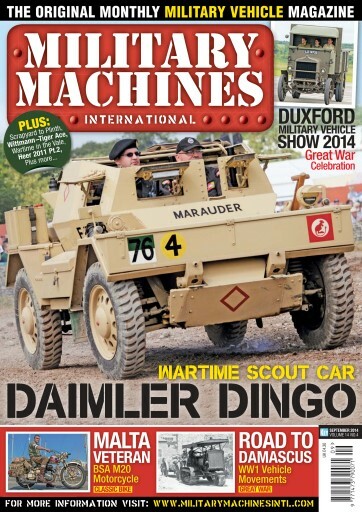 Now with a new, contemporary design featuring high-quality photography, Military Machines is a truly international magazine providing the best features on classic wartime vehicles, together with show reports and regular news items from around the globe. Published by Key Publishing Ltd. The entire contents of this title is © copyright 2014. All rights reserved. You'll receive 12 issues during a 1 year Military Machines International magazine subscription. You'll receive 12 issues during a 1 year Military Machines International magazine print subscription.